When I was pregnant with my first baby, my doula and friend, Julie, introduced me to baby wearing. She bought me a Boba as a shower gift, and let me borrow her Maya wrap. Baby wearing keeps your baby close to you, which is great for bonding, nursing, and generally surviving life with a baby. My babies would nap, nurse, enjoy the scenery as we walked the dog, and enjoy being, “held”, as I cleaned the house. Some days it was seriously how I managed to do anything! I learned a lot about different carriers through the years, and through a lot of test runs have figured out what works for me and also for each individual child. Here's the skinny on each type of carrier, with some tips for each kind as well. Ring sling: Made of large cloth swatches, secured with two metal, plastic, or bamboo rings. These are great for fast in and out, and are great for hip carries. The only down side is you kind of feel like you need to keep a hand on baby, so you aren't totally hands free. It's much easier to use with an older baby that has head and neck control, but can still be used with a newborn. Slings have a bit of a learning curve at first, and I needed help with getting started and fixing my sling when the fabric would get bunched. Ring Sling: Hip carries take the weight off of moms arms and core. Soft structured carriers (Ergo, Boba, and Tula): Soft structured carriers (SSC) are generally easy to wear, adjust to almost all body types, and can be worn on the front or on the back as baby gets larger. These are great for baby naps, and allow your hands to be completely free. With a SSC you want to look for one with wide berth for hips; this prevents hip issues as baby grows and takes strain away from their back, unlike typical front facing carriers (bjorns). SSC can be used with newborns with special inserts depending on the brand. Ergo sells a newborn insert for their specific carrier, allowing it to be used from birth through toddler hood. Soft wraps (Moby, K’tan): Best used during the early newborn weeks, wraps are soft and snuggly, and are great for naps, walks, etc. Your hands can be completely free, and with a little adjustment you can nurse while wrapped. It may take a few viewings on YouTube to get the wrapping right. A few styles of wrapping let you set up the wrap beforehand, so your wrap becomes an extra accessory. Bonus! The K’tan comes in different sizes. I'd suggest trying one out at your local natural baby store first. Soft stretchy wraps work well up to 18 lbs, but are uncomfortable any heavier. Move onto a woven wrap or SSC after you're done with the Moby. 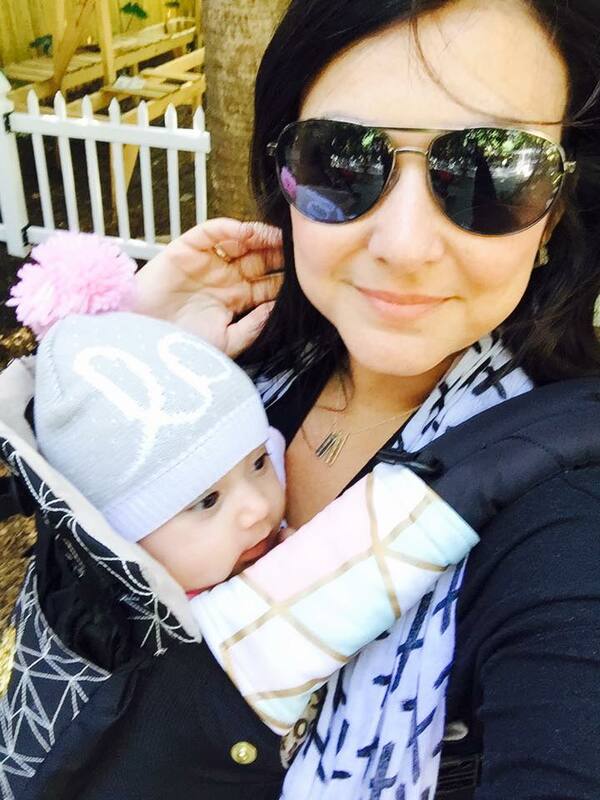 Moby Wrap: Front carries are cozy and can be pre-wrapped. Woven wraps: These babies are the Cadillac of baby wearing. Super versatile, comfy for mom and baby. And. So. Beautiful! However, there's a catch. These wraps come with a hefty price tag, and there's a lot to learn about wrapping. My kids were always too wiggly and wanting up and down all the time for me to even be tempted to wrap. But by god, do I want one just because they are so stinking pretty! Woven wrap: Lenny Lamb brand. Look how cool this is! As with all the carriers, consider them an investment. They will last you through multiple children, and majority retain their resale value. If cost is prohibitive, buy used! (The straps will be soft and broken in.) Utilize your baby registry as well! 1) Chin is away from the chest. This ensures that the airway is open. 2) Baby should be high enough that you can kiss the top of their head. Too low, baby could fall. 3) Always keep buckles and straps done tightly. Wraps should always be secured with a double knot. 4) Wait to wear baby on your back until they have good head and neck control. Keep your babies close, and enjoy your carrier!